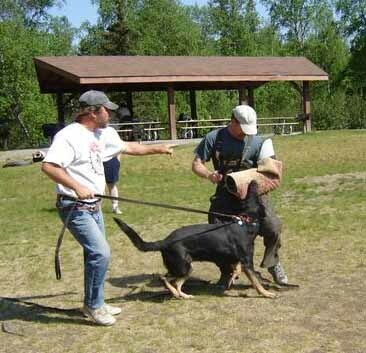 I never set out to be a nationally recognized schutzhund trainer. Quite frankly, all of the attention is a little bit intimidating. I’m just a regular guy living in the country with my family and my dogs. But since so many people are asking, and since I believe so much in strict breed standards, let’s lay it all out on the table. The Schutzhund routine from the 1970’s is still the standard for today’s top breeders and trainers. The official test of today is a watered down version. This is your chance to SEE IT ALL FIRSTHAND. This schutzhund training video has the answer you’ve been searching for. So here’s what I want you to do right now. Enter your name and email address and I’ll send you a link with immediate access to my newly released Schutzhund training video. 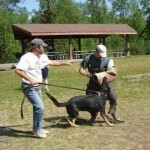 See the true Schutzhund test that hasn’t been used officially for years – the surprise attack out of the blind. This brand new video is not available anywhere else. Just enter your name and email and you’ll see a video of the time honored part of the test that has created many confident, powerful working dogs. Plus, learn about the fastest and easiest ways to imprint the critical skills every dog should possess. So do it right now, just enter your name and email and I’ll see you on the inside. We will NEVER EVER share your private info. Love Schutzhund? Share the love with a Facebook ‘like’ below.